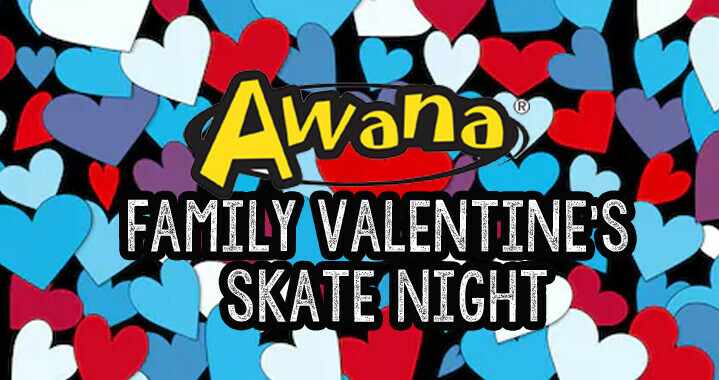 Awana clubbers and their families are invited to enjoy our Valentine’s Family Skate Night at PJ’s Party Zone from 6-8:30pm. The cost will be $5 per person (rollerblades are $2 extra or you can bring your own). The concession stand will be open and Christian music will be playing! Check out the Awana 2018/19 Theme Nights! Visit the Children's Ministries page for more information or to register your child(ren) for Awana!